The awesome thing about the world today is that you can have an idea for a product, something that will revolutionise your life and the lives of others, build a couple and then crowdfund it into production. This has been particularly true of electronic musical instruments and devices. However, very few seem to actually arrive and even fewer transform our lives. Maybe Mune will buck the trend and find an appeal that’s larger than just the people who make it. 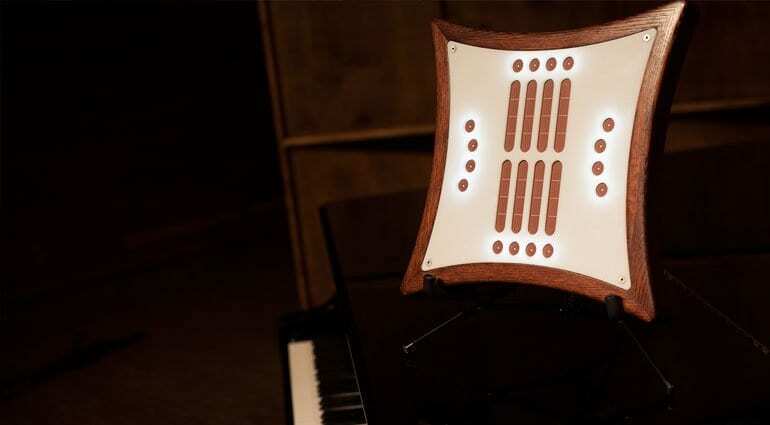 Mune is an electronic instrument – or perhaps it’s really a MIDI controller. Difficult to know really, because the teaser video doesn’t actually show it being played. 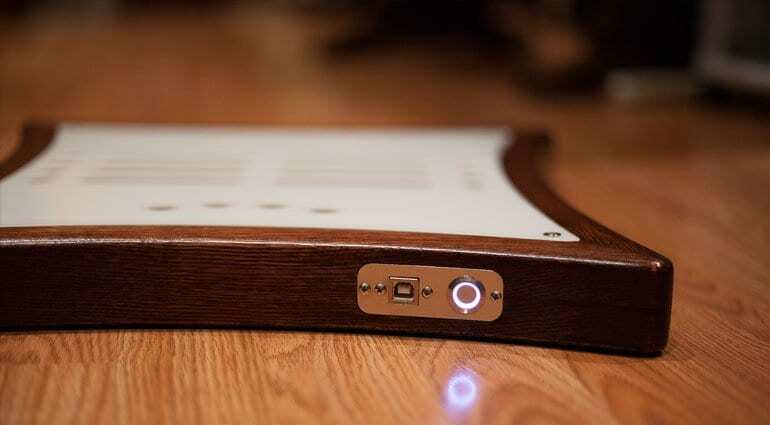 They describe it as having “the flexibility of a digital controller and the soul of a traditional instrument” – which I think equates to a MIDI controller with nice wooden edging. The point of the Mune is to give electronic performers an instrument to play and perform with in a more expressive and engaging space. So often stuck behind a laptop or a keyboard and mixer, it can be difficult for an audience to really understand what’s going on and connect with the performer. 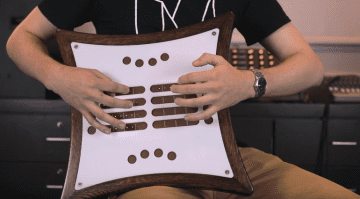 The Mune offers a crowd-facing instrument that you can be seen fiddling with. Mune is the brain child of Canadians Scott Stevenson and Andrew Staniland, who were unsatisfied performing with current digital interfaces. So they set about researching and designing something that was forward-facing and made the interactions fully visible. It needed to offer expressiveness and sensitivity in performance along with the ability to control all of their electronic sound sources. They believe it’s now ready for production. 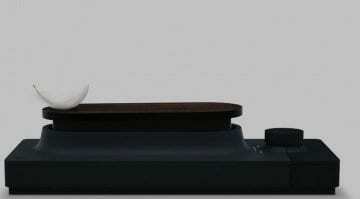 The Mune itself is an interesting sort of star-shaped device, curvy and edged in wood. It has 16 force-sensitive buttons and 8 ribbon sensors. It has a 3-axis accelerometer, dynamic backlighting and can be wireless over Bluetooth. 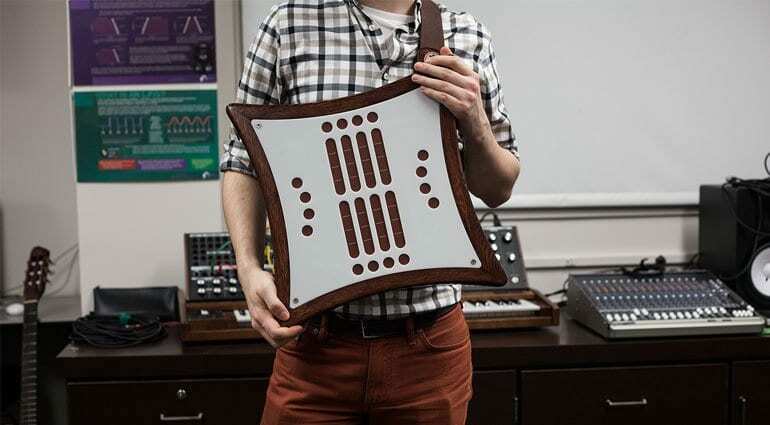 It will come with a shoulder strap and a stand and has something to do with “Apps” including an FM synthesizer, Live Looper, Drum Machine and Video Processor. But it doesn’t really say how these work – do they load into the instrument or do you run them on your computer, or are they for the iPad? I guess these things will become clear soon. What’s slightly frustrating is that there’s no video of it actually being used in performance. 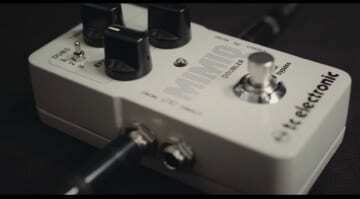 As an instrument, as an object, it looks really nice and I’ll be interested in seeing it in action. 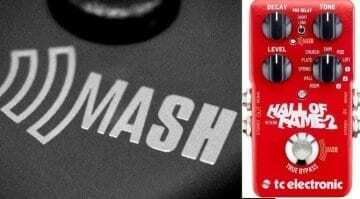 The Kickstarter campaign is due to launch in July – no news on pricing. Will it make you look cool or like a fool – that’s the question? More information on the Mune website here. 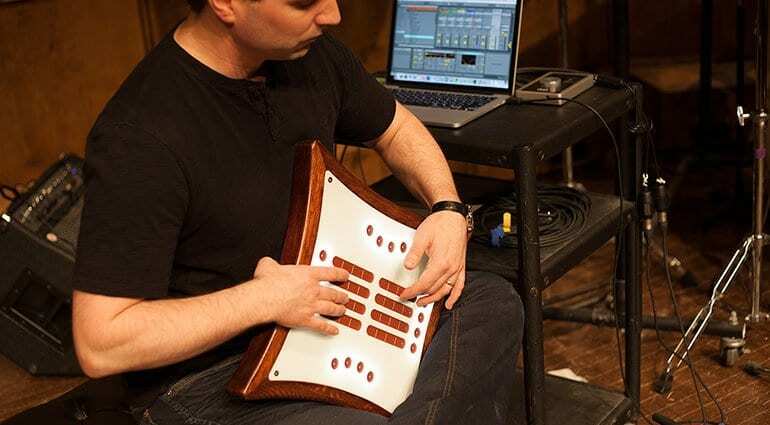 Mune: An electronic instrument with an acoustic soul?